And so it begins, the second term has two major projects, a table and a chair. Although we need to fulfil certain criteria in each project we have been encouraged to let the creative sides of our brains roam free and come up with ideas. So pen to paper and tables were drawn with flurry and fury. My first couple of passes seemed to push the brief a tad too far and I was encouraged to dial it back a little, I had grand ideas of a floating console table and lightening bolts, I won't dwell anymore on this as I am destined to return to the idea once my practical skills are up to muster. 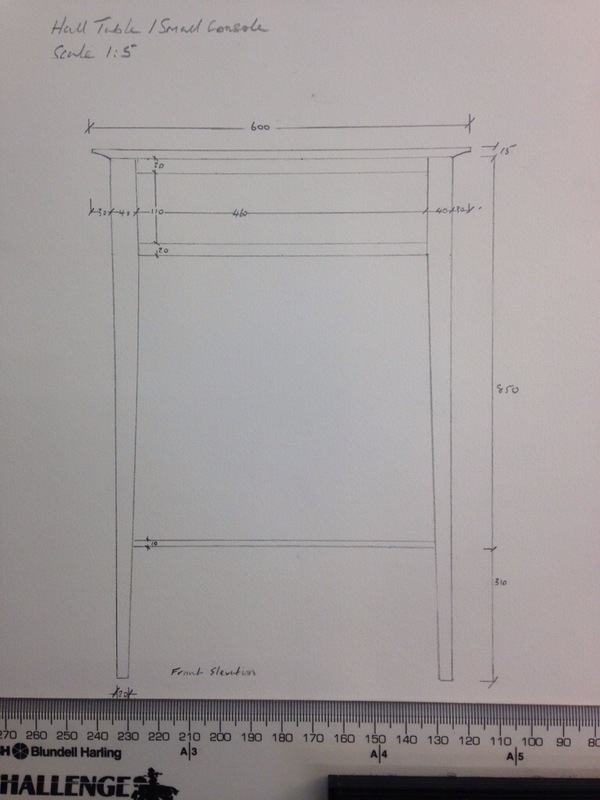 So here we have it, the agreed plans, a slender console table with drawer and elegant stretcher to balance the design. I plan to make this in English oak and picked up an enormous piece last week from English woodland timber. It gets delivered on Friday so as of Monday work can begin in earnest. The top of the table will have a gentle curve and a small lined in-lay in white holly which should give an refined feel to the piece. 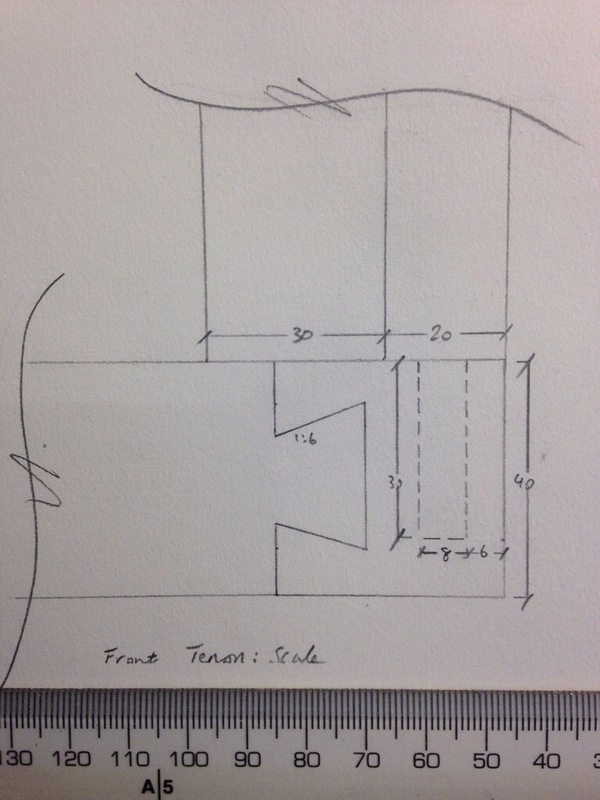 I am amazed at the technical considerations required to translate an idea into a viable piece of furniture, you have to switch to the cabinet makers mindset to see if what you have dealt up can actually be achieved, not only made but assembled and with a nod to efficiency. Last weeks drawing and pontifications have been exhausting and incredibly rewarding. 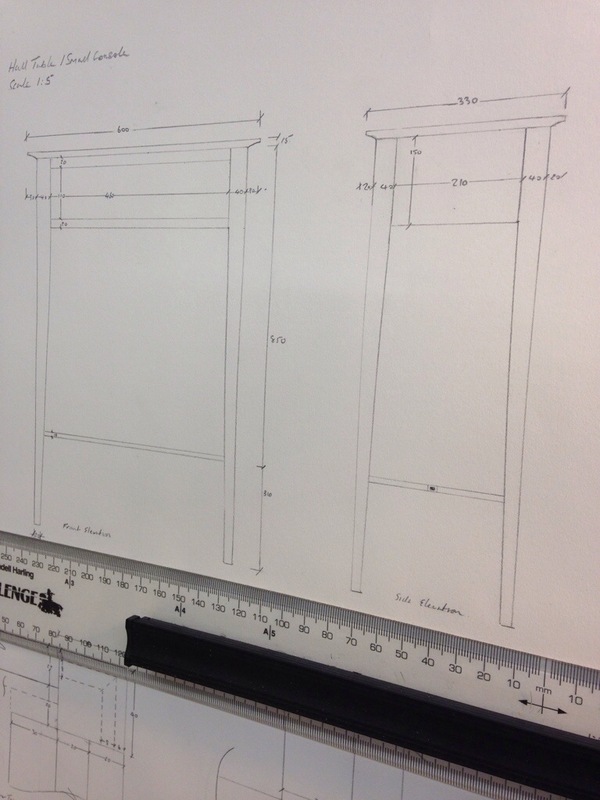 I'll keep you posted with the progress of this, the first piece of furniture from Petrel, exciting times!